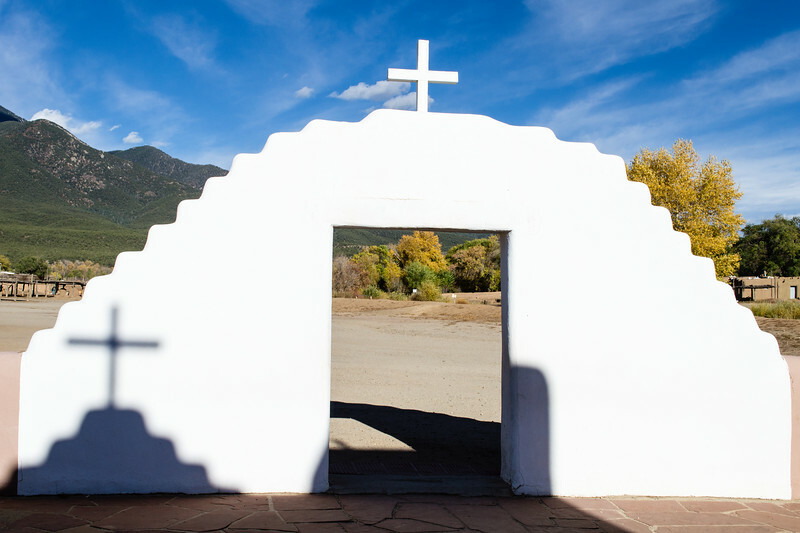 Taos Pueblo church entrance. This building has been victimized by camera-wielding tourists for decades. Still, when shadows conspire, it is hard to resist taking another shot.